Let’s face it—healthy eating is confusing. Studies are all over the place (one day eggs are bad, next day they’re good, next day they’re bad again), there’s never been more eating plans to choose from (paleo, keto, Mediterranean, oh my!) and basically every food company has tried to come up with some wellness “spin” for their products, whether or not they’re actually healthy. The information (and choices!) can be paralyzing. To help clear up at least some of this confusion, we talked to seven dietitians and nutritionists about the most frequently asked food questions they’ve encountered—because if they hear them all the time, chances are you and I are asking those same questions, too. The answer? Sort of. 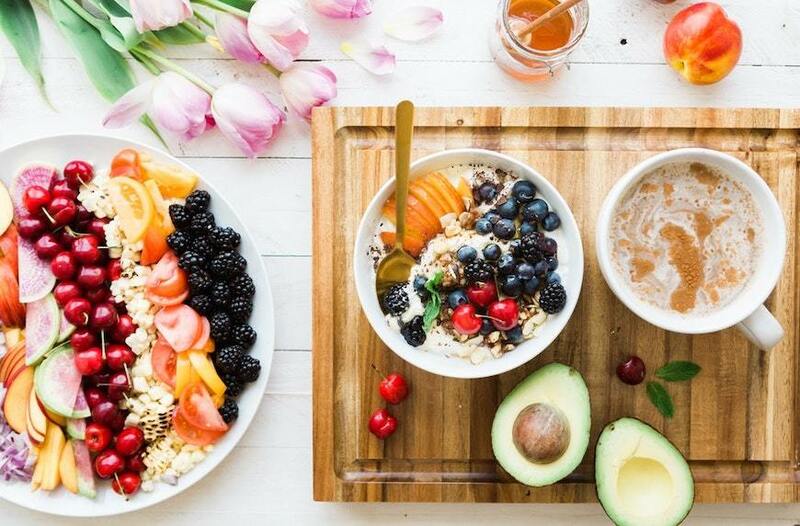 “Coconut oil wears a ‘health halo,’ leading people to believe it’s better for them than other oils,” says Lauren Harris-Pincus, RD, author of The Protein-Packed Breakfast Club. She says the hype has gotten so intense that many of her clients have adopted coconut oil in favor of olive or avocado oils. Here’s the thing: Coconut oil is really high in saturated fat (one tablespoon has 12 grams). While some saturated fat is important, too much has been associated with higher cholesterol levels and other negative health outcomes. “The American Heart Association recommends limiting intake of saturated fats,” Harris-Pincus says, and compared to other oils, coconut oil has a greater proportion of saturated fats while delivering a similar calorie and overall fat count. Her advice? If coconut oil enhances the flavor of a dish you like, use a little, but don’t choose it because you think it’s healthier than other oils. Nope—your body needs it for energy, says Suzanne Dixon, RD. (So don’t be totally freaked by sugar! )“Still, while sugar isn’t exactly toxic, it isn’t good for you in large amounts. If you eat large amounts of added sugar on a regular basis, your body will pay the price,” she adds (think increased risk of Type 2 diabetes, obesity, and inflammation). “The key to including some of the sweet stuff in a way that is healthy, not harmful,” Dixon says. She suggests focusing on getting sugars from natural sources, like fruit, potatoes, and squash. And limit added sugar (including using honey and maple syrup as sweeteners) to avoid going overboard. Amidor also says that if you just can’t quit that dairy life and your digestive system can handle it, you can go for smaller amounts of lower-lactose foods like Greek yogurt or cottage cheese. “Other ways to help with the lactose digestion is to mix the dairy food in a dish with other foods, which will help slow down the digestion of the lactose,” she says (like mixing cheese into your burrito bowl). This depends on your diet, says Natalie Rizzo, MS, RD, author of The No-Brainer Nutrition Guide For Every Runner. “In general, the body uses carbs as a primary fuel source for a workout. Since carbs have a bad reputation—mostly because they are the main nutrient in sugary foods—this advice tends to scare people,” she says. When it comes to pre-workout fuel, however, carbs are your friend. “If you’re able to eat two to three hours before a workout, you want more complex carbs that take longer to digest, like a whole grain, because these give you long-lasting energy that will stay with you through your workout,” Rizzo says. She recommends a sandwich on whole grain bread with protein or a salad with a whole grain like quinoa. “If you’re eating within one hour of your workout, you want some sort of simple carb, like a piece of fruit or a lower-fiber veggie, like carrot sticks, because these will break down quickly and give you fast-acting fuel,” she says. Don’t overload the stomach with heavy foods and avoid high-fiber foods like beans or cruciferous vegetables to limit gas or uncomfortable stomach bloat. No! “Most people will avoid bananas or pineapples due to the high glycemic index of these fruits,” says Philip Goglia, a celebrity nutritionist with a PhD in nutritional science and the co-founder of G-Plans. (High glycemic index = more likely to spike your blood sugar.) “I find this irrelevant.” Basically, fruit is fruit, and is ultimately processed by your body in the same way. And since fruit also comes with fiber and antioxidants, they’re overall a much better source of sugar than say, a GF cookie. That said, Dr. Goglia says that juices or dried fruit should not be a person’s go-to fruit source, since they often contain added sugars. Fresh, whole fruit is generally the way to go. However, getting enough protein isn’t really a problem for most people, says Dana Angelo White, MS, RD, ATC sports dietitian and fitness ambassador for F45 Training in Fairfield, Connecticut. “Most folks eat plenty of protein but they tend to time it wrong,” she says. “Instead of mega doses of protein one or twice, I suggest that my clients spread out protein-rich foods throughout the day to help control hunger, maintain energy levels and maximize the use of those all-important amino acids,” she says. And add on some more if you’re hitting up a HIIT class. “On workout days, make sure a dose of protein comes right after that exercise session to help muscles recover. Aim for a balance of protein from all nutrient-rich sources including, eggs, lean meats, legumes, nuts and low-fat dairy,” she says. Speaking of other nutrition questions: Is coconut oil good for you? How about potatoes?